The Liver and Digestive Institute specializes in endoscopy and offers full–cycle diagnostic services and treatment for diseases related to the liver and gastrointestinal (GI) system, such as viral hepatitis, alcoholic hepatitis, cirrhosis, fatty liver disease, pancreatitis, gallstone-related diseases and many more. Samitivej also specializes in cutting edge and tertiary treatments such as liver transplants. Today, liver transplants have a success rate of over 90% and most patients are able to resume their normal activities after recovering from the surgery. 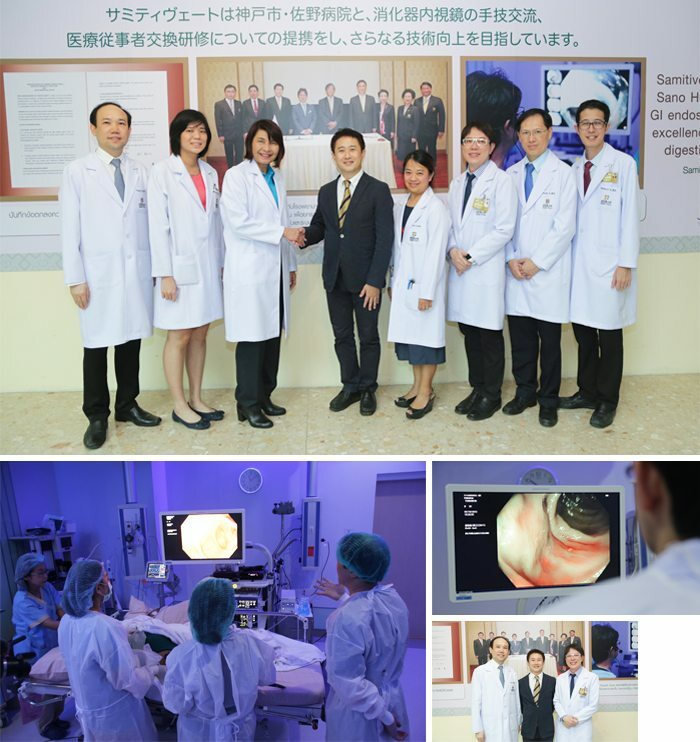 The Liver and Digestive Institute uses the latest medical innovations and technologies. 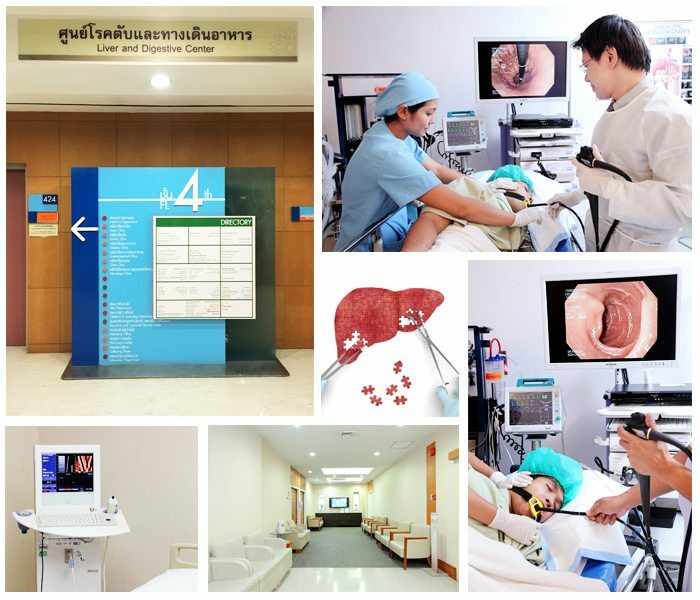 We are equipped with a team of specialists who draw from years of training and experience both in Thailand and abroad to provide Thai, expatriate and international patients with the most accurate diagnoses and best treatment plans for a variety of liver–related diseases and digestive ailments. 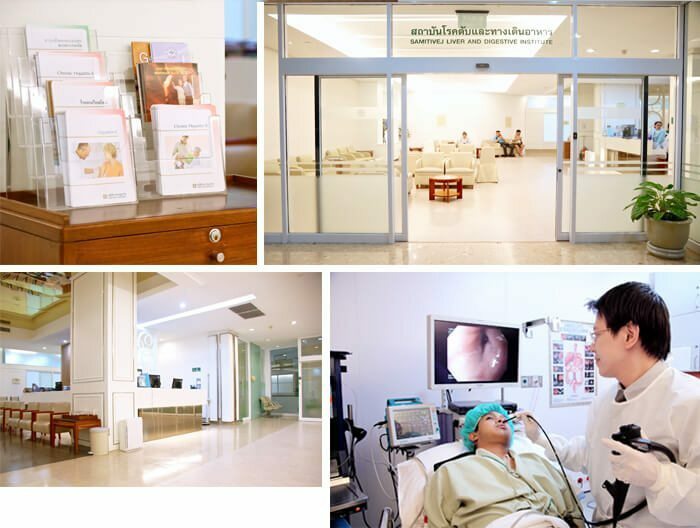 Located on the second floor of Samitivej Sukhumvit Hospital, the Institute has 10 specialist doctors, 12 nurses, 4 technology experts, 12 examination rooms, 5 endoscopy rooms and 10 patient recovery rooms. And serious complications may develop if they remain untreated. The Liver and Digestive Center is ready to provide diagnosis, therapy and treatment of a variety of liver and digestive diseases such as virus infections, alcoholism, cirrhosis of the liver, fatty liver, pancreatitis, gallstones and cholangitis. Our center is fitted out with advanced medical equipment and staffed by teams of experienced doctors and nurses. Working with the latest medical technology, our team of physicians can provide more precise diagnosis so that our patients receive the right treatment in a timely manner before the disease can spread.